For decades, support for Withrow came from volunteers, both grads and others, who had a concern for the school as a unique architectural example as well as its effectiveness as an educational institution. Those individuals supported Withrow during both good and bad times. Eventually, it became apparent that their efforts would be more effective and efficient if they created a more formal structure. In 1985, the Friends of Withrow was organized as a nonprofit organization to help Withrow. 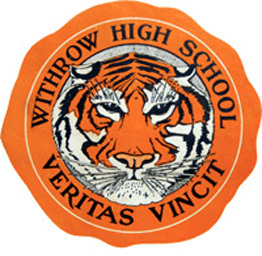 While that group was effective for a number of years, in 1995, it transitioned to a new organization Withrow Alumni, Inc., also currently known as the Withrow Alumni Association. Withrow Alumni Inc. is governed by a volunteer Board of Trustees that direct the activities of the association. The Board meets quarterly, and once a year elects a President, Vice President, Secretary and Treasurer, who serve for a one year term and actively manage the affairs of the Withrow Alumni Association. The Board is always interested in finding alumni who are interested in helping Withrow continue to be an effective educational institution. If you have an interest in serving on the Board or helping Withrow in some other way, please Contact Us at 513-363-9085.